2Hopkins gives you a Downtown Baltimore apartment close to the arts of Bromo and the fun of the Inner Harbor. One of the great joys of living at 2Hopkins is having so much to do so close to home. From our apartments in Baltimore, you can easily get to the best the city has to offer, including the engaging Bromo Arts District and world-famous Inner Harbor. Just to the west and north of 2Hopkins, the Bromo Arts District is home to artists, collectives, galleries and many of the city’s visual and performative arts centers. You can visit for a show or spend the whole day. Start at the iconic Bromo Seltzer Arts Tower, where you can tour spaces being used by up-and-coming artists. Then, take in the current exhibitions at Platform Gallery, Terrault and any of the area’s other amazing galleries. When you get hungry, you can stop for a bite at the urban food hall of Mt. Vernon Marketplace or you can head into one of the area’s local cafés or coffee shops. Then, catch a matinee or evening performance at Arena Players, Everyman Theatre or the Hippodrome. As for the Inner Harbor, 2Hopkins’ apartments in Baltimore put you just a few blocks away. Walk or take a cab or Uber down to the waterfront, where you can stroll the promenade and gaze out at the ships. If you feel like a meal, you’ll have your choice from casual favorites like Phillips Crab Deck to top-notch steakhouses. 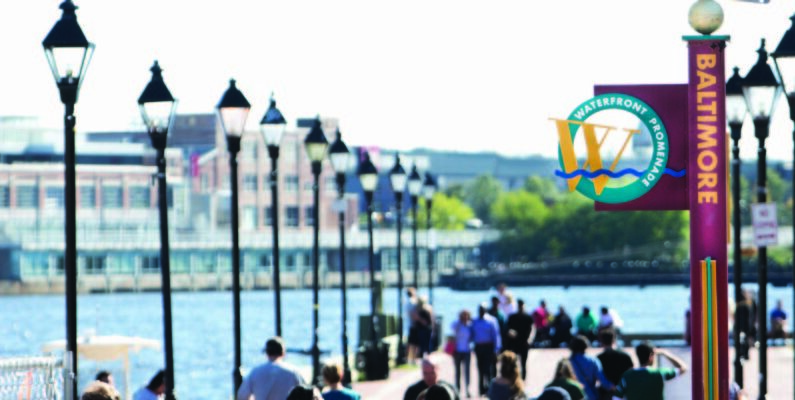 There are also plenty of attractions waiting in the Inner Harbor. You can experience American history on the U.S.S. Constellation, see the diverse sea life at the National Aquarium, or enjoy live music at Power Plant Live! There are even plenty of places to shop, including at the Inner Harbor’s beautiful mall, The Gallery. Living in 2Hopkins’ apartments in Baltimore means living close to the best the city has to offer. It’s an elevated lifestyle that fits perfectly with our elevated apartment homes.